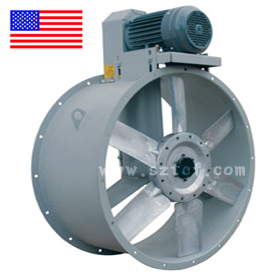 The TCBS Tubeaxial Fan is designed for reliable and cost effective air movement in paint spray booth applications. This unit offers cost effective, reliable air movement for commercial and light industrial ducted and non-ducted applications. The TCBS is available with cast aluminum or fabricated steel propellers to meet specific application requirements.